Upper Darby, PA – The Pontian “Akritai” celebrated their 73rd annual dance this past weekend. 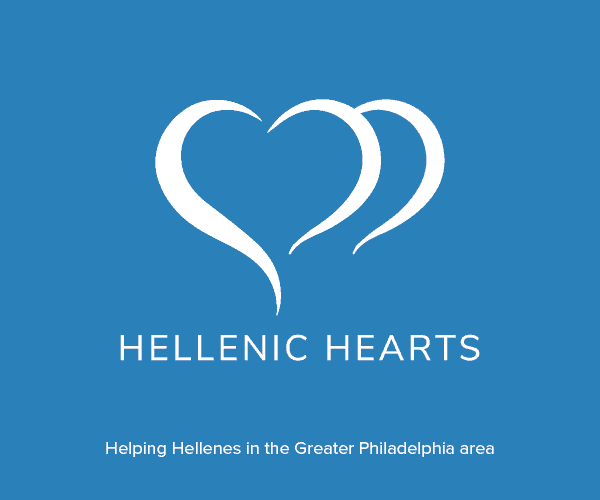 Not many Greek organizations can use that figure when remarking on their historical time frame of existence; especially today in Philadelphia. The Akritai of Upper Darby are actually one of the oldest Pontian organizations in the world. Most Pontian organizations in Greece and around the world were formed years later. 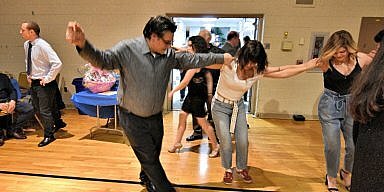 This annual dance has been held historically these past 20 some years (on Thanksgiving weekend) at St. Demetrios Greek Orthodox church in Upper Darby. 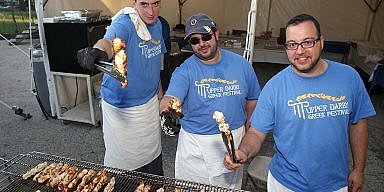 Members of the Greek community, some from as far away as New York and Boston, came in to town to celebrate and dance with their fellow Pontians at the years biggest traditional dance. The “Akritai” dance troupe kicked off the evening with a series of dances by separate sets of performers in two age groups. Although St. Demetrios has one of the largest halls in the area, the capacity filled room seemed in need of more space for the Akritai, who in the past two-three years, have grown by nearly 40%. This is due to an apparent surge in interest in Pontian dancing in the area. Popular Greek music was provided by “Atlantis of Philadelphia”, while Pontian music was featured by an array of participants. Headliner, Giannis Gavrilidis of Kilkis, Greece, put on a spectacular performance. Standing in the middle of the room, throughout the evening, he sang to a sea of people who circled and danced around him. Yiannis Apazidis of Boston and Christos Tiktakpanidis of NY added a few songs between sessions. The Poneres brothers of Baltimore, started out the evening with Lyra and Daouli during dinner, linking this event from local to international. 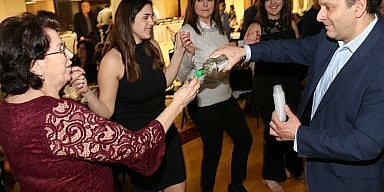 President Ifigeneia Pavlidou-ikonomou and her staff of volunteers put on another memorable evening and continually show their dedication to the preservation of Hellenism.